Throughout every metro-city today, you can find a burgeoning blockchain community. This renaissance movement is affecting every major industry, not only technology, but economics, politics, and society. Countries, territories, and states are using this as a chance to find their new identities. Estonia and Malta are vying to become the main “blockchain country”, Puerto Rico is being transformed into a Crypto Paradise, and other countries like China, silently maintain dominance in the space despite heavily publicized bans and regulations . This series of articles will focus on different cities and the communities within. Each will highlight projects, events, services, and personalities that are uniquely shaping each local landscape. At the end, I hope that this series has shared enough from each community so next time you are in town, you’ll know who to look up and where to hang out. Shanghai ranked at number 10 for ICO activity in 2017, but that isn’t a fair representation of how vital the city is in the blockchain world. One of the the largest Chinese blockchain projects, NEO, is based there, and a flurry of nonstop innovation has continued in its wake. With a strong talent pool, close proximity to other major blockchain hubs (Seoul, HongKong, Singapore), and local government initiatives to fuel business development, Shanghai is quickly cementing its dominance in the blockchain scene. With an avid interest in technology from a young age, Primas CEO Wupeng spent much of his youth reading Western literature and repairing computers. Working at Lenovo in 2013, he lead product development for a new web browser; this is where he met fellow geek and big data expert, Primas CTO Gan Lu. Together, their team used AI to push credible content to users, but found actual content quality played a minimal role in how information was distributed across the Internet. Things such as clickbait, fake news and plagiarized content yielded disproportionate volumes of traffic, thus generating more money for platform providers and perpetuating this system. Seeing credibility as a growing issue in an increasingly virtual world, the pair looked for a technical solution and Primas was born. If there is one epidemic in online content we are all familiar with, its fake news. As recently as 2 weeks ago, photos depicting hoards of Hondurans and Mexicans on buses were used to stoke fears of immigration ahead of the November election cycle. In all of the cases, the photos were recycled from previous news events, often times completely unrelated, and dating back as far as 2012. “I was an early adopter of the Internet, witnessing its evolution from a once magical place for creatives and the sharing of information, to it’s current state, a place filled with (often deliberately) misleading information and low quality content being driven by a few privately motivated players” says Wupeng. With the Primas Protocol, fake news can’t be faked as easily, as every image used in the network is detected. This same system not only protects against fake news, but also prevents plagiarism and piracy. Today, Primas stands as one of the few blockchain projects with a fully functional product and growing user base. Users can download the application for iOS and Android and use it to read and publish high quality and fully protected content. Publishers get rewarded Primas Tokens (PST) for uploading their original articles, videos and images to the network, while readers can also earn PST for rating and sharing their favorite content with their friends. As of writing, the PST token is valued at $0.21 , putting the market cap of Primas Token at $11 million. Primas also is sharing their protocol with other projects. As a layer 2 solution, other blockchains can benefit in connecting to Primas nodes, that can be operated by anyone staking enough PST tokens. This benefits the entire Dapp ecosystem by providing a secure and robust content network, protected from censorship and piracy. As with any content ecosystem, getting new user adoption is the most critical component to growth, and Primas has started this cycle with a popular ambassador program across the world. You can find more details about the program here. One of the areas of intense focus and research in the blockchain industry is supply chain logistics. 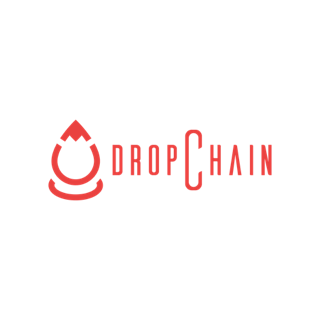 DropChain has created a gamified supply chain tracking system that seeks to solve the “systemic lack of transparency in global supply chains”. By incentivizing the different participants in a products journey from the farm or factory to the consumers shopping cart, DropChain will be able to gather data points of what happened at which point and when. Pairing this data with the blockchain will create a publically accessible ledger for consumables, that will be able to guarantee product authenticity and integrity. The DropChain team came together through their common background in the food & beverage industry and their shared passion for food safety. 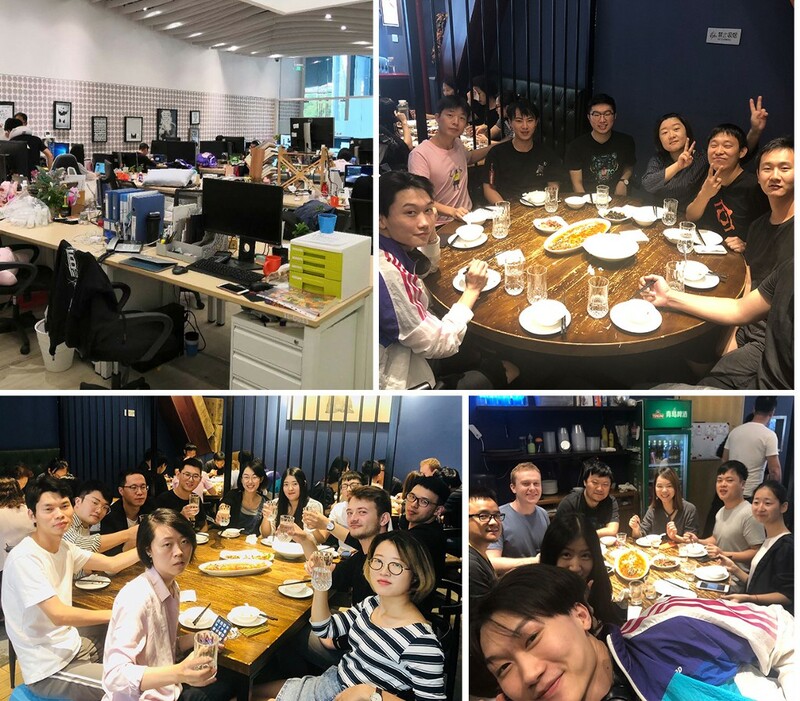 DropChain CEO and Founder, Billy Chan, and his team have spent the last 3 years bridging the gap between reputable alcohol manufacturers and small businesses, gradually honing their skills and understanding of China’s complex food supply network. Counterfeit goods is no small problem either, its actually a $40 billion global problem. “There are bad actors globally who are relentlessly compromising the integrity of products with dangerous counterfeits, many of which are harmful to public health.” said Billy Chan at the announcement of their strategic partnership with Sanya Travel Attraction Technology Accelerator (STATA) on August 10, 2018. And the $6T global food and beverage trade has tried to solve it multiple times, with little progress in preventing the proliferation of these fake goods. This isn’t just a health problem either. Global brands are the most commonly copied in this ecosystem, and the negative repercussions to brand image take years to undo. With DropChain, the entire food & beverage industry will be able to get rid of this growing issue once and for all. In addition, the DropChain team is betting that there will be a lot of interest in their ecosystems data potential. There are large amounts of information that are not being collected (due to this lack of transparency in the product journey) that would help make better distribution and marketing business decisions. 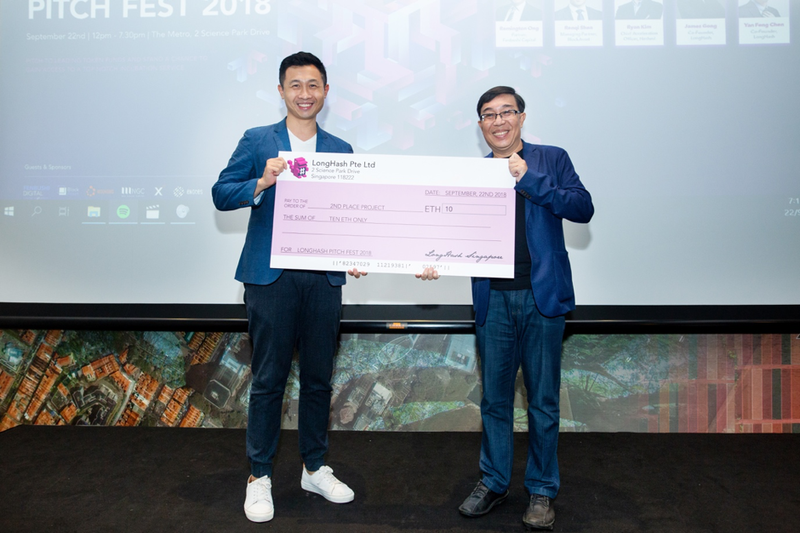 Today, DropChain has earned a fair amount of buzz, placing 2nd at the LongHash 2018 Pitch Fest in Singapore, and most recently, their partnership with STATA. They’ve also solidified several partnerships with prominent food & beverage companies, like Brander Urstoff. DropChain’s next focus will be it’s new integration with Foowala, which has “ been serving East China’s small-medium business community, providing a one-stop-shop mobile platform addressing their food and alcohol procurement needs”. Billy Chan says this rebranding and integration will reduce development time and give DropChain existing business relationships. You can learn more about the DropChain Project at www.dropchainproject.com and join the conversation on Telegram. 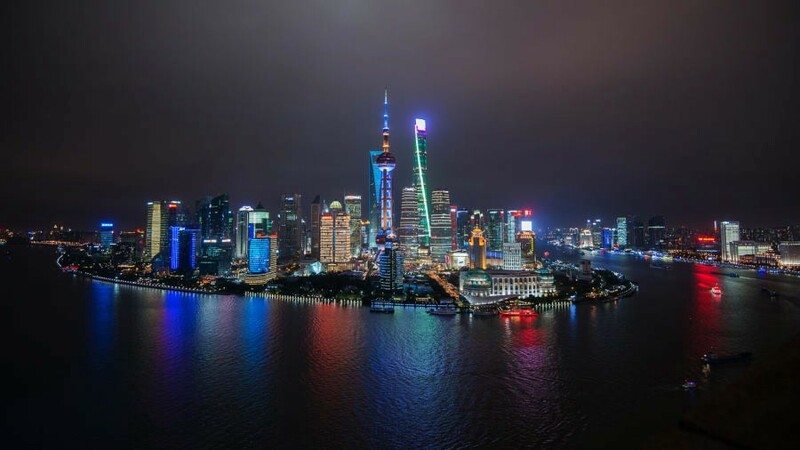 CryptoMondays are hosted in over 19 countries around the world, but the Shanghai group’s events are a “must attend” when in town. This author personally found his Shanghai crypto footing at their big “back to work” event after Golden Week, with speakers like Bobby Lee, Yin Xu, and Chris Cheng. Unlike meetups in SF or NYC (which are dominated by an investor focused crowd), half of the people were working at blockchain projects and the other half were people looking to learn more about the space. This is the perfect balance of thought-provoking discussion and education reiteration that helps keep your mind fresh and focused for a week long crypto world grind. You can sign up at the link below, message me, or reach out to @michael_oath for more information. CryptoMondays is a decentralized organization with over 9,000 members internationally across 30 cities in 15 different countries. CryptoMondays Shanghai will bring people together that are passionate about Crypto while sharing their views, networking, learning and having a blast. We’ll drink, we’ll laugh, we’ll learn, we’ll have fun, while driving crypto further in to the ecosystem. The Cities Leading in Blockchain: Shanghai-Part 1 was originally published in Hacker Noon on Medium, where people are continuing the conversation by highlighting and responding to this story.